Cindy is a specialist nurse fully qualified in offering advanced medico-beauty treatments with a long standing experience of the aesthetic field since 1998. She trained as a registered nurse at Bromley Hospital NHS Trust. 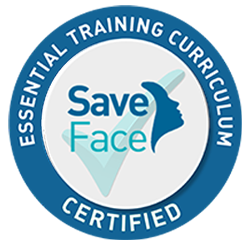 After extensive study and further training to gain additional qualifications, she has now realised her ambition of opening a Clinic which provides high quality, professional treatments to clients, which many delighted customers would be happy to testify. 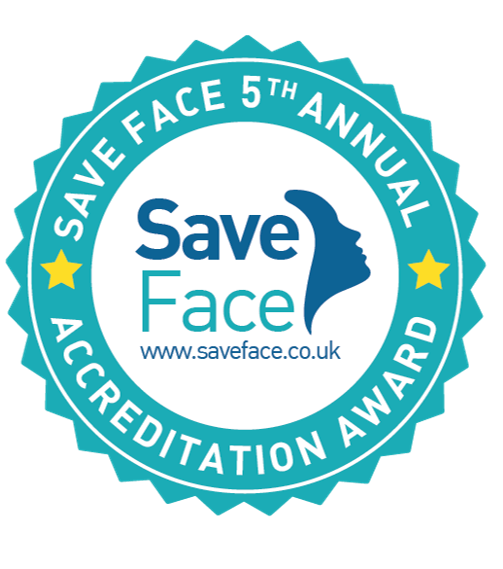 She is a full member of the Royal College of Nursing and is committed to attending regular accreditation updates in aesthetic procedures. Cindy’s greatest belief is that clients should always be made to feel comfortable and relaxed before, during and after their procedures. Clients are always assured of excellent and extensive follow up care to their treatments. "Excellent service. Lovely clean bright premises. Leah explained everything very well. Happy atmosphere " Recommended! “This was the first of several appointments that I will need to rid my face of the brown pigmentations. Leah was lovely as always and put me at ease. Yes it’s a bit uncomfortable, but not unbearable. Looking forward to getting several appointments under my belt in order to assess the success rate of the treatment. I would add that I do have rather a lot of brown marks on my face. ” Recommended! “Excellent service. Lovely clean bright premises. Leah explained everything very well. Happy atmosphere ” Recommended! “I would highly recommend The Cindy Knight Clinic. Everyone is very helpful and professional. I have been attending the clinic for many years but this was my first experience with Dr Joella Christophers. I have nothing but praise for her. She was very thorough and made me feel very comfortable. ” Recommended! “, only a little bruising to the right side of my mouth. Nothing like before. Put the arnica ointment on and took the pills, they appear to have worked. As for the Botox I understand that takes time to kick in. Have a good Christmas” Recommended! “A bit uncomfortable while having the treatment , but as before great results , still have flaky skin , but knew what to expect , And the neck is showing noticeably less lined already . can’t wait for the next treatment, Jane . ” Recommended! “Amazing thanks to Cindy! I love my lips x” Recommended! “So pleased with my results, never had this treatment before, so Joella made me feel at ease and explained everything to me. Thank you ” Recommended! This is the most amazing place to go to for any treatments! The fully trained team here have been trained by the best! years! Thank you Cindy and Thank you Dr Lau !! Wonderful clinic, staff are lovely and informative. All my concerns and questions (before treatment) were taken seriously and answered fully. Treatment (hair removal) was amazing, painless and successful. I will be coming back especially as the prices are extremely low and affordable. An excellent tentative service. Cindy and the team are friendly and professional I have not hesitated to recommend any of the services/treatments to friends and family. Always a pleasure here, very relaxing atmosphere. Fantastic, professional and friendly service. very professional and make you feel at ease. everything is explained fully. I would highly recommend cindy knight clinic to people. The treatment has worked excellently and the staff always have my comfort first. Always received an amazing service with the best advice. I trust implicitly the the clinic and all the staff who are always professional and above everything absolutely honest about the pros and cons of all procedures plus giving impartial advice. Are always eager to ensure that the client is happy with the result and treatment. Very friendly clinic and staff been coming for 10 years for treatments wouldn’t go anywhere else. Enjoy my visits. 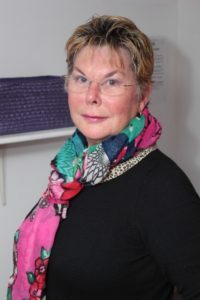 Cindy Knight is an excellent therapist – very helpful and informative, kind + caring. I trust her in all my treatments. I have been visiting the clinic for about 10 years now and I cannot recommend the staff and treatments enough. I have always been impressed by the professionalism and friendliness that i’ve experienced at every visit. This brings me onto the treatments which have always been administered without side effects or any issues. My current favourite treatment has been the sopranoice laser hair removal. I have dark skin and have always refrained from laser treatment because of the potential for pigmentation to worsen. But the new laser has been absolutely fantastic and pain free. I saw results within days – a truly impressive result for dark hair. I am now hairfree and it is so liberating not to have to rely on a waxing and shaving regime. I can’t recommend this clinic enough. i’ve been satisfied and happy at every visit. Thanks Cindy Knight Clinic quite literally for changing my life! Excellent results every time. Very satisfied. I have been coming here over 5 years and have always been pleased with my treatments and the professionalism of the staff. I enjoy my treatments and feel I get an excellent service everytime. Fantastic treatment once again. Diana and Cindy run a very professional clinic. They are very thorough regarding treatments and never push me to have treatments I do not require. As a long time client of Cindys, since 2002, I keep returning as I feel safe in her hands. I feel able to discuss my concerns and treatment options with her and always value her advice and the results she achieves. The clinic staff are very accommodating and are always very helpful and cheerful. Very professional and reassuring. Feel in safe hands. Been to other clinics and this the best. Would recommend to anybody. Always brilliant, highly knowledgeable, always very happy with results! Would not dream of going elsewhere. A well run, highly professional unit. The staff are well trained, immaculate, reassuring and courteous. Fun too. I would not hesitate to recommend the Clinic. I have been using Cindy Knight for several months now for hair removal and the results are excellent along with the service and competitive prices. Cindy suggested a new procedure , to me – Restylane Skinboosters. I am so pleased I listened to her advice. She is a master. The procedure was painless and left me looking a truly rejuvenated and natural version of my self. I went to a Pilates class and the instructor who has seen me bare faced for several years commented on how great my complexion was looking recently, and ask me what was my secret. I told her the Cindy Knight Clinic and its fab team ! Really good service, customer consideration, great prices and most of all the treatment worked brilliantly. Going to the Cindy Knight Clinic is like being with friends. Very informal, very ‘ordinary’ if that doesn’t sound rude… just relaxed and comfortable. I have had the Soprano laser treatment and it is honestly truly painless, completely. So far the results after 3 sessions are remarkable. I cannot recommend it highly enough! Always treated more like a friend than a client. The staff are most careful to explain any treatments and the cons as well as the pros. Personally every visit is a pleasure. I would recommend Cindy Knight clinic 100%. I have visited them regularly for a few years now and without exception have always been totally satisfied with every treatment . In the past I have had fillers and Botox at other establishments but nothing compares to the results the Cindy achieves . All the staff are friendly and the establishment is very relaxing . When I walked through the doors of the Cindy Knight clinic I was feeling nervous & a little apprehensive. I was deeply unhappy with the two deep frown lines I had on my forehead & no amount of make up could disguise them. I then met the miracle worker, known as Cindy Knight. She changed my life around that day, before, all I ever saw when I looked in the mirror was those lines, now, I actually admire my face. I cannot praise this lady & her team enough. True professionals! Excellent Clinic. I have been going for 10 years and will continue to do so. I was 40 and looked 50 when I first started having Botox and fillers. I’m now 50 and look 40. I’m a very happy client and Cindy and Diana are very professional in all that they do. I have had complete confidence in the Cindy Knight Clinic for the treatments I have received and would never hesitate to recommend any friend into their care. Had the laser hair removal treatment. Excellent result. Couldn’t be happier. I feel instantly at ease when visiting the clinic, everyone is so friendly and relaxed. I am always delighted with the results of my treatments. I have just had the latest Hair Removal treatment, Soprano Ice at The Cindy Knight Clinic. All I can say is WOW. For once the hype is true. Totally pain free. The procedure was quick and did I mention pain free? The staff were discreet, welcoming and friendly but at all times consummate professionals. I can’t recommend this clinic enough. I will definitely be a returning client. I always leave totally satisfied with the treatment I receive. Very good treatment, excellent staff. Very friendly and professional. I was made to feel at ease from the moment I arrived. I would not hesitate to recommend them.